Fill in the blanks with the correct preposition. 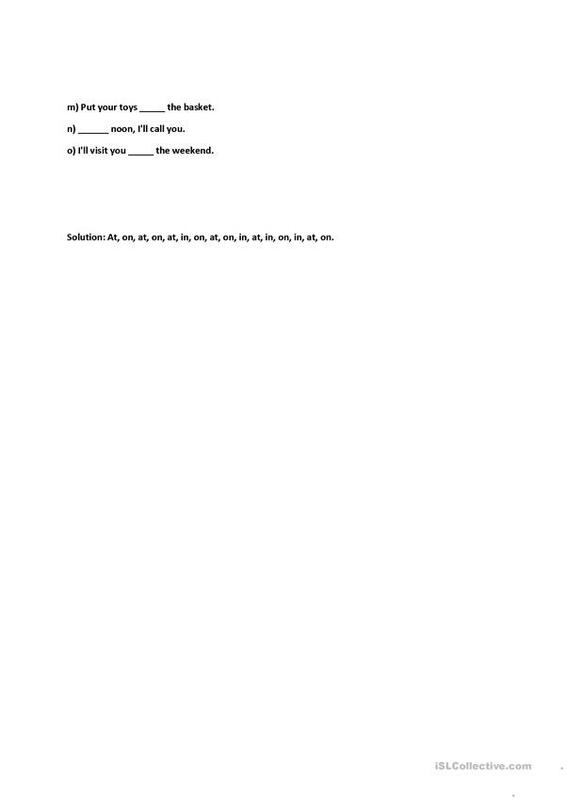 Good to pratice with elementary students, 15 sentences to fill with AT-IN-ON with solution.For teens and adults too. The present downloadable handout is meant for high school students and adults at Elementary (A1) level. 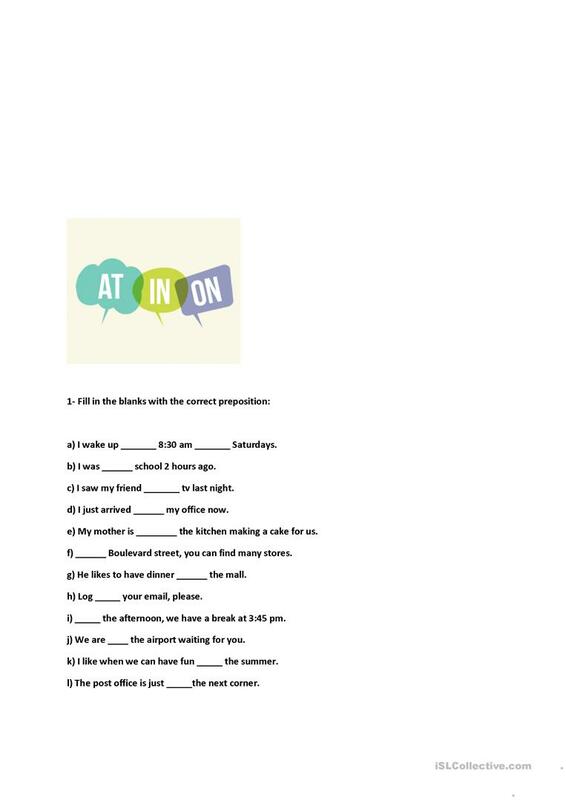 It is great for consolidating Prepositions in English, and is excellent for honing your learners' Reading and Writing skills. It features the topic and words of World. You will find the answers at the end of the worksheet.